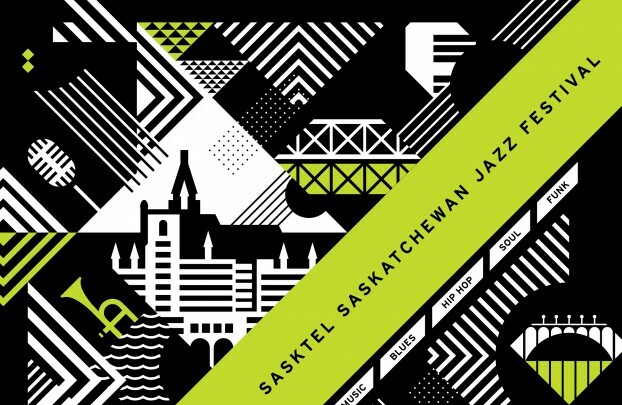 The jam-packed Saskatchewan Jazz Festival lineup was released on Friday, sporting a roster of over sixty bands spread out over ten days. Jazz fans and live music lovers of all kinds should have no trouble finding something to get excited about. Like the cover of the program suggests, this year’s lineup is covering all its jazzy bases — but, continuing the trend of the last few festivals, organizers weren’t afraid of branch out into other types of music too. The list of artists tops out at sixty four different acts, ranging from Herbie Hancock to Serena Ryder and Ziggy Marley to the Preservation Hall Jazz Band. New venues have been added to the roster this year, including the James Hotel and Villiage Guitar & Amp Co, among others. The free stage in Friendship Park is going to be getting a lot of love — there’s enough going on here to satisfy most without even setting foot in a ticketed event. More free stages will be popping up at the James, the Spadina Freehouse, the 2nd Ave. Grill, and the Experience Downtown stage (located in the Barney Kutz Pocket Park on 21st). A handful of musicians are making their triumphant return to the festival after playing here last year, including Five Alarm Funk, Michael Franti & Spearhead, Wil Campa and our very own We Were Lovers. The TD Jazz Intensive makes a return this year as well, giving young musicians a chance to learn from and play with some talented and experienced members of the jazz community, including Mark DeJong and Soren Nissen. The Pickup’s going to covering every beat of the festival with artist interviews, event previews, photo galleries and videos, and a few special giveaways along the way. Follow us on Facebook and Twitter to keep up to speed. Diehard jazzers: check back soon for a jazz-centric reference guide to the festival. 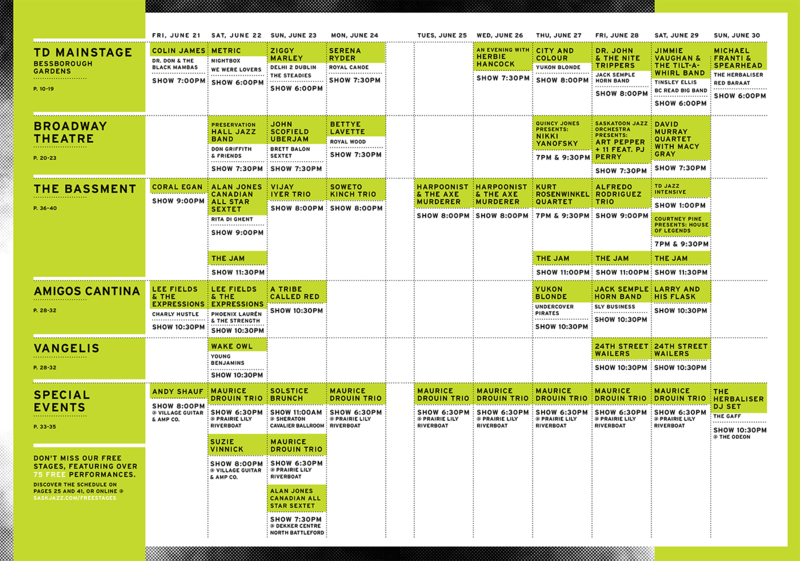 Check out the full schedule, list of artists and program below or visit the Jazz Festival’s official website. The full 2013 Jazz Festival schedule. Click to enlarge. UPDATE: An earlier version of this post said the festival spanned nine days. It’s actually lasts ten days, from June 21 to July 1.